Norgeston is taken every day without a break for 35 days. Norgeston will not protect you against sexually transmitted infections, only condoms can help to do this. Always take Norgeston as instructed, consult your Patient Information Leaflet. Take Norgeston every day for 35 days. Norgeston comes in strips of 35 pills, each marked with a day of the week. Take your pill at the same time every day. Make sure that you are never more than three hours late with a pill otherwise the contraceptive protection may be lost. a pill marked with the day of the week. Always start the new strip on time. You will be taking pills through your periods and there must be no break between packs. As long as you take Norgeston correctly, you will always start each new strip on the same day of the week. 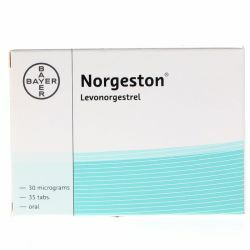 Each box of Norgeston contains one memo strip of 35 white tablets. 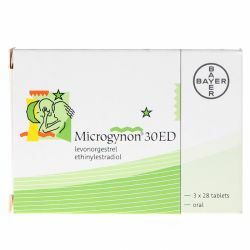 Each tablet contains: 30 micrograms of the progestogen levonorgestrel. lactose, maize starch, povidone, polyethylene glycol 6000, calcium carbonate (E170), talc, magnesium stearate (E 572), sucrose, montan glycol wax. Make sure you understand the benefits and risks of taking Norgeston before you start taking it, or when deciding whether to carry on taking it. Always consult the Patient Information Leaflet for more information. Norgeston is suitable for most healthy women but it may not be suitable for everyone. Tell your doctor if you have any of the illnesses or risk factors mentioned in the Patient Information Leaflet. If you are allergic (hypersensitive) to any of the ingredients in Norgeston. 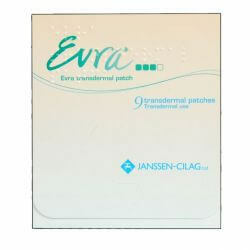 If you have brown patches on your face or body (chloasma). If so avoid too much exposure to the sun or ultraviolet radiation. need to use extra contraception for a while. Your doctor, pharmacist or dentist can tell you if this is necessary and for how long. Norgeston contains lactose and sucrose - if you have been told by your doctor that you have an intolerance to some sugars, contact your doctor before using Norgeston.